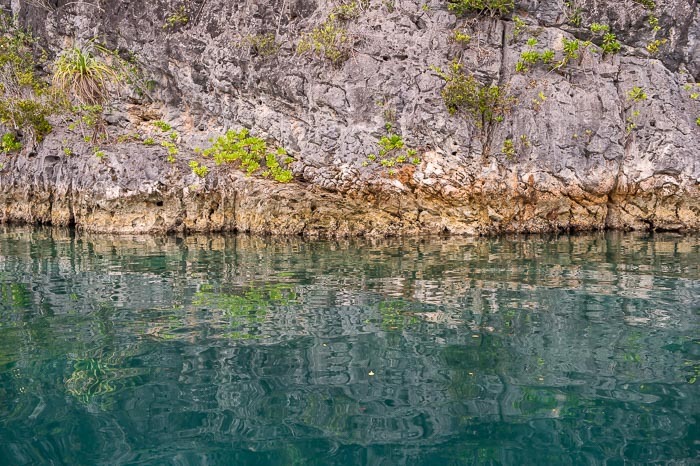 How Did Raja Ampat Get its Name? Famous for their Jurassic-like beauty, the islands embrace over 1,500 rambling Indonesian islets. They encompass over 40,000 square kilometres. And are set among cays, coral reefs and shoals like rough shaped jewels in a cerulean sea. Raja Ampat is located off the northwest tip of the island of Papua in the northeast seas of the Indonesian Archipelago. They lie at the point where the Pacific becomes the Indian Ocean. The resulting currents stir up nutrient-rich water in the tropical climate, nurturing magnificent coral reefs and unparalleled marine life. The islands Raja Ampat were probably first colonised in the sixteenth century by seafaring folk from the nearby island of Biak. They then became part of the Sultanate of Tidore. It was an influential kingdom that ruled the Maluku Islands or the Moluccas an archipelago located east of Sulawesi. Which is west of New Guinea, and north and east of Timor. The first recorded European sighting of the Raja Ampat Islands was Portuguese navigator Jorge de Menezes in 1526. Later the Dutch, who had invaded Maluku and referred to them as the Spice Islands. William Dampier The English explorer gave his name to Dampier Strait, a stretch of water that separates the island of Batanta from Waigeo. The romance of this far-flung region is embodied by the history of its fairy-tale name which literally translates as ‘four kings’. 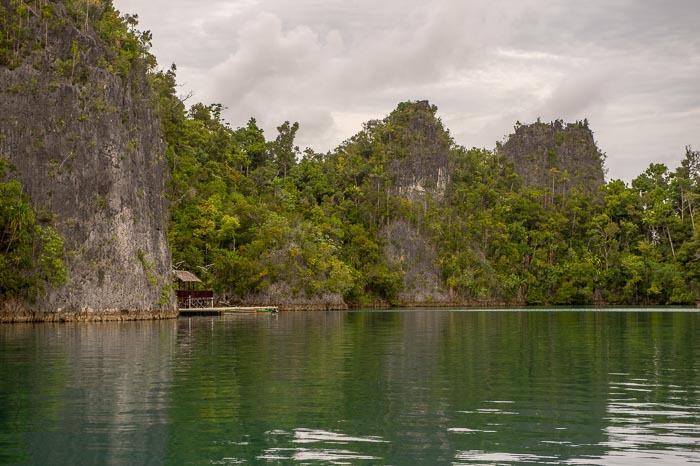 Local mythology tells of a woman who finds seven mysterious eggs four of which hatch to become kings who reign over Raja Ampat’s four largest islands. They are Waigeo, Salawati, Batanta and Misool. The other three eggs were not so lucky and after hatching became a ghost, a woman, and a stone. Each of the islands – from the stark wave-pounded slopes that drop away beneath the karst cliffs of Wayag to the deep, nutrient-rich bays of Aljui, are home to unique assemblages of species. These range from sharks to crocodiles and pearl bearing oysters. Together they add up to produce the most impressive species lists ever compiled for a coral reef system of this size. Diving underwater has never been so rewarding. 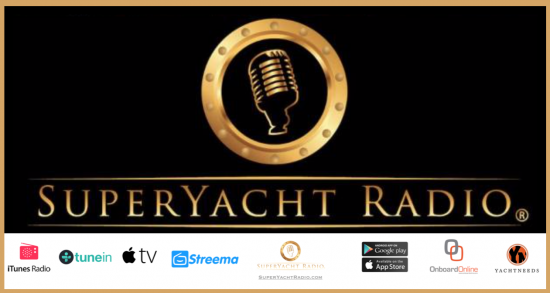 Visiting superyachts the likes of Octopus, Suri, Lady Candy, Eileen and most recently, Latitude have found a culture unique in the world that is home to the planet’s most diverse fish and coral resources. Cruising through Raja Ampat entails voyaging through one of the world’s most exceptional marine areas with stunning sea views and magnificent landscapes. A suite on the Prana by Atzaro (pranabyatzaro.com) costs from US$1,120 a night. 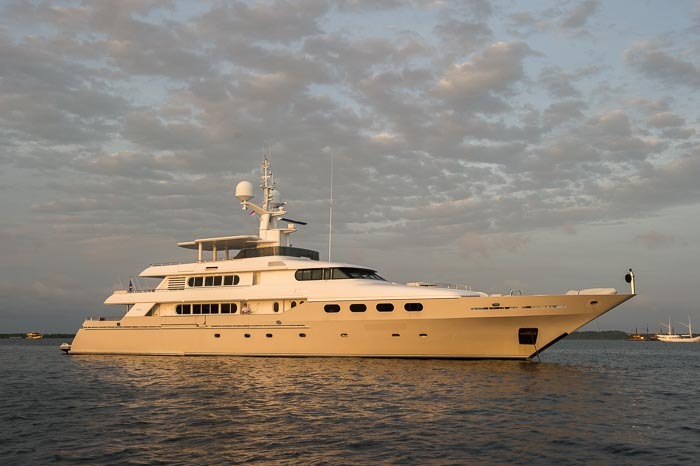 Charters cost from US$12,500 a day, inclusive of meals, local beer, soft drinks, one spa treatment, transfers from airport to yacht, and all activities.